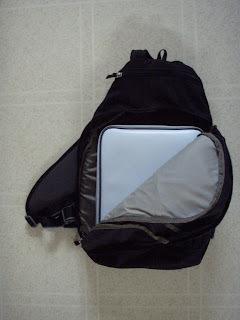 Recently I've been looking for a small single strap backpack for my netbook. The search turned out to be rather difficult since I was only able to find suitable packs online and retail locations did not carry the models that I wanted. If I wanted a local store to special order a pack for me I would have had to pre-pay for it. I didn't want to be stuck with a pack that was too large or worse too small. I created a list of possible bags that fit the first 3 requirements. Since I have no sense of style/fashion the last requirement was not as obvious to me so I recruited my girlfriend to help me with choosing a bag that looked good but wasn't a murse. Ironically the pack I ended up getting is from the Women's backpack section of REI. "REI The Mini Sling Bag - Women's" fit all of the requirements. 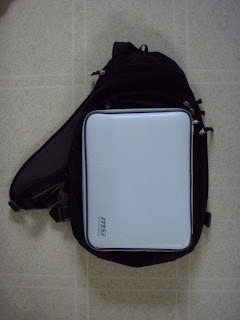 My local REI had it in stock so I was able to look at it and make sure the netbook fit before buying it. Also the bag can be worn over either shoulder. 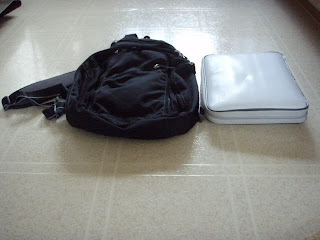 Maxpedition Lunada Gearslinger - The dimensions listed suggest that my netbook would fit and there is a comment that someone uses this bag for their netbook. The bag is on the expensive side but you definitely get what you pay for judging by the features/materials listed. Timberland Single Strap Mini Backpack - this is only sold in pink/grey and they have no current plans to bring back the black/grey option they used to have. Getting a new (or used) washer and dryer?